With your runny nose, fever, and headaches, among other symptoms, you want your flu infection to go away so that you can feel better. Aside from the chicken soup, bed rest, and over-the-counter medication, your doctor may recommend antiviral drugs. 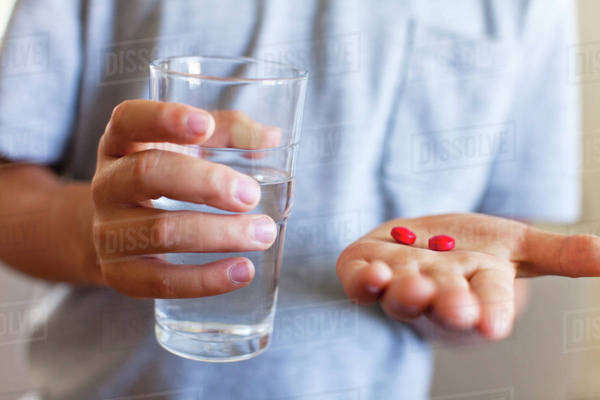 But before pinning all of your hopes on antiviral drugs, you have to keep in mind that these are formulated to shorten the duration of your symptoms, not be the treatment you hope them to be. You will neither immediately feel better, much less go back to your normal self, nor make you immune against the flu – that’s the job of the flu vaccines available at Target pharmacies. You will also get over the flu whether you take antiviral drugs or not – unless, of course, your symptoms develop into more serious complications. Antiviral drugs are formulated to prevent viruses from replicating on the biochemical level. When viruses are prevented from replicating, they cannot spawn new viruses that, in turn, prevents them from invading and infecting the body’s cells. When you take antiviral drugs after being infected with the flu, you will start to feel better faster since the invading virus doesn’t overwhelm your body’s cells. Your symptoms will not be as severe and their duration will be shorter such that you will likely get better two days earlier than if you didn’t take the antiviral drugs. Your doctor can also recommend antivirals formulated as a preventive measure, which means that you will be less likely to catch the infection in case you have been in close personal contact with a flu-infected person. The FDA has also approved two older antivirals that you can purchase as generic drugs, namely, amantadine hydrochloride (Symmetrel) and rimantadine/rimantadine hydrochloride (Flumadine). But these are not considered effective anymore for two reasons: first, these only work against one main type of flu virus; and second, the current strains of the flu virus in circulation today are resistant against them. Your doctor will only prescribe antivirals within 48 hours after the onset of your flu symptoms – otherwise, you will not benefit from them. You must also carefully follow your doctor’s instructions about their proper use and storage to get the most benefit from the antivirals.